StrikeFirst is a digital scorekeeper and time clock. - This digital scorekeeper is perfect for Taekwondo tournaments, and practice, among many other sports including wrestling, volleyball, soccer, basketball, to name a few. - The ability to keep an accurate score along with precise time is the goal we set out for and accomplished. We feel positive about how this unique product can help your competitive sporting events in multiple aspects. - Each unit weighs only 5 lbs., making it easy for most users to set on their laps and operate during one of your competitions. 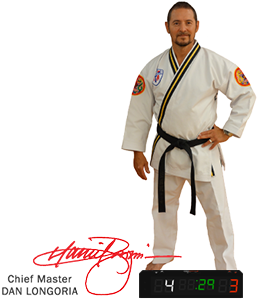 Endorsed by Chief Master Daniel Longoria of Longoria's Black Belt Academy in Lincoln, NE. Designed and built in the USA, by an active ATA member, with ATA in mind. Adds excitement to every event, both tournament and practice. Easy to use, allowing single person to keep score and time. Gives the center judge complete control of event time. High visibility time and score display with an audible buzzer for end of match notification. As seen in ATA World Magazine, StrikeFirst can attract more participants to your event. You have the options to either Purchase (or) Rent. 2018/2019 Tournament Year Special: Rent 9, Keep 1! - For every 9 units rented at $24.99 each, keep one for yourself. - Rent a StrikeFirst for your tournament (recommended 1 unit/ring). - TimeMachines promotes your event on www.gostrikefirst.com and social media for ATA tournaments. - A rechargeable battery is included with each unit rented. - Labels are provided for the return shipment. Drop return shipments off at any UPS pickup location. - Never worry about maintaining a Strikefirst. Never buy batteries. - No charge for normal wear and tear, damage waiver. - Instructions and all information required for operation and return shipping included. - Your StrikeFirst unit(s) will ship via UPS, in a durable Pelican case, the Monday before your event. - Postage is paid by the customer both to and from the destination at our discounted UPS rates. - Use Strikefirst through the entirety of the tournament. - Re-package in provided Pelican cases. - Place the included return shipping labels on the Pelican cases and drop them at UPS on Monday. - Lost units, damage beyond normal wear and tear, or missing rechargeable batteries may result in a re-stocking fee at the discretion of TimeMachines. - Includes removable battery pack (8AA batteries required, not included). 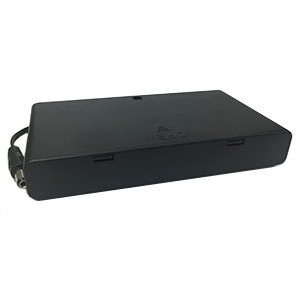 - Separate AC plug in power supply available for purchase as an accessory, eliminating the need for batteries. - 1 Year Standard Warranty. Parts and Workmanship. Visit www.gostrikefirst.com to see full warranty. - Free software updates, when available. Simply ship your unit back or update on-site. Contact us by phone or email for volume discounts for 10 units or more. Send us your feedback or your favorite StrikeFirst experience. Whether its "the greatest match ever" or "that funny thing that happened," we'd love to hear from you! Email us today: info@GoStrikeFirst.com. - Skip the batteries and simply plug-in to a wall outlet. - Input: 100-240v / 50/60Hz / .30a Max. - Use as an additional power option, when you don't have access to a wall outlet plugin. - Holds 8 AA batteries.